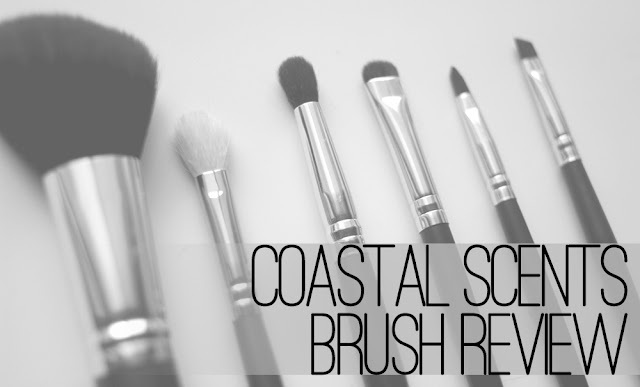 Coastal Scents is a lovely online makeup retailer based out of a town not too far from my homeland. Through this small-but-ambitious storefront, you'll find brushes, palettes and more! Want the inside scoop on my latest staple brushes from them? Click through for the full review. This brush is awesome, especially for the price. I use it to concentrate powder on the spots where I get most oily (underneath my eyes, down my nose and slightly on my chin) and the angle of the brush works perfectly with the shape of my face. It feels effortless and natural when sweeping powder in those areas. The bristles are soft and fluffy, and are packed with medium density (so that it picks up product, but not too much!). I can see this working really well for blush and bronzer, especially for blending it. This is probably my favorite of the brushes in this purchase. I've been looking for a good blending brush for a while, and while e.l.f. brushes are convenient and affordable, they don't offer anything like this! While I am a huge fan of synthetic brushes, this natural hair bristle really makes the brush what it is. The dense but fluffy congregation of goat hair bristles help pick up and distribute color around the lid beautifully. This brush would be a great way to blend... had I not purchased the brush above already. I now realize that purchasing this brush was kind of pointless, but I can see where this might fit into a makeup artist's array of tools. It's much less dense than the e.l.f. 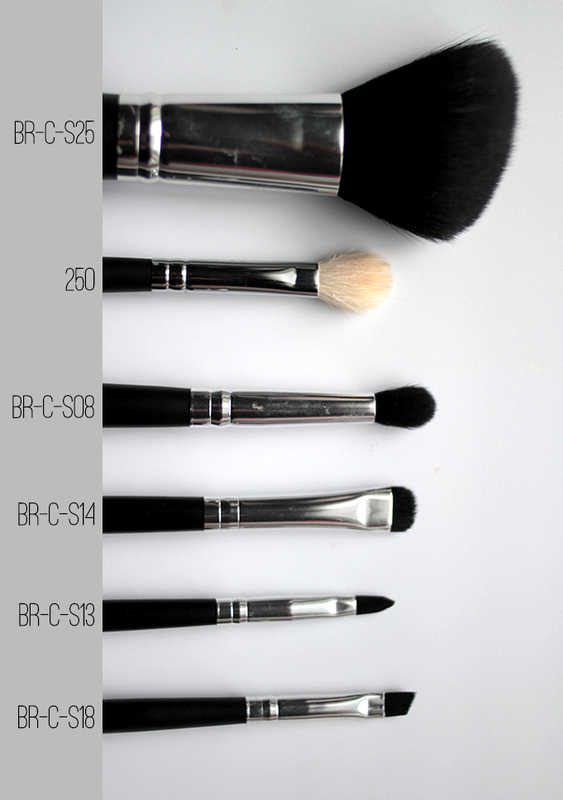 contour brush, but depending on what you need it for that could be a good thing or a bad thing. I think it does very well with blending pigment into the crease as well as getting a concentrated area to "smoke out" a bit without having it all over the place. I found that this was a truly unique brush, as both MAC and Sigma did not have dupes anywhere close to its precision. Now, I know the official name says "brow" in it, but to me this looked like the PERFECT smudge brush. And in the short time that I've had it, I can assure you for under $4 it exceeds my expectations as such. The tip is a little pointed, making it great for picking up color and placing it exactly where you want on the lower lash line. The brushes are soft and have a decent amount of 'give,' allowing you to comfortably get super close to those little baby lashes without scratching the delicate skin in that area. Overall, I think this was a great purchase and definitely a more affordable dupe for the MAC and Sigma brushes. Let me just say, I don't know what I was thinking when I ordered this on the website. 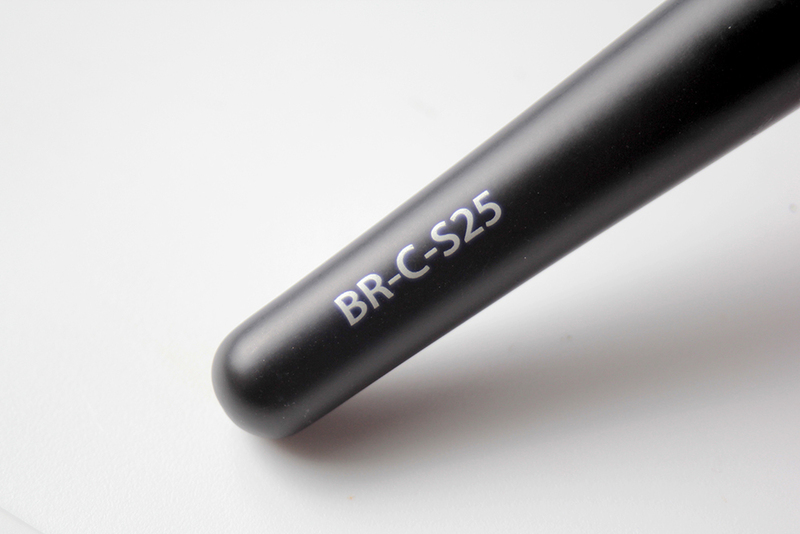 For some reason, I thought it was more closely resemble Sigma's E30, which is a densely packed pencil brush. On the website it looks nothing like that, so it's not like I was falsely lured into it. Wishful thinking I guess? However, despite the fact that I was a little let down while opening my package, I'm pleasantly surprised by this brush. It's thin enough to comfortably swish in my crease without it being uncomfortable and by shimmying the brush into an eye shadow, I pick up more than enough for my application. I've shown the side view above so you can see how thin it really is, but so far I haven't had any problems with it. In fact, both this brush and the Pro Blending Fluff brush have been my go-to brushes lately. I love them! I own many brushes like this one. I find that, though they are my favorite type for applying gel liner in a wing, they are often not dense or stiff enough and the brush ends up bending during application. This brush was no exception to that rule, but for the price tag I can't complain. I'll most likely use this to apply shadow to my inner corner or underneath my bottom lash line when my Classic Brow Synthetic isn't precise enough. Useful, but not for what I originally intended.